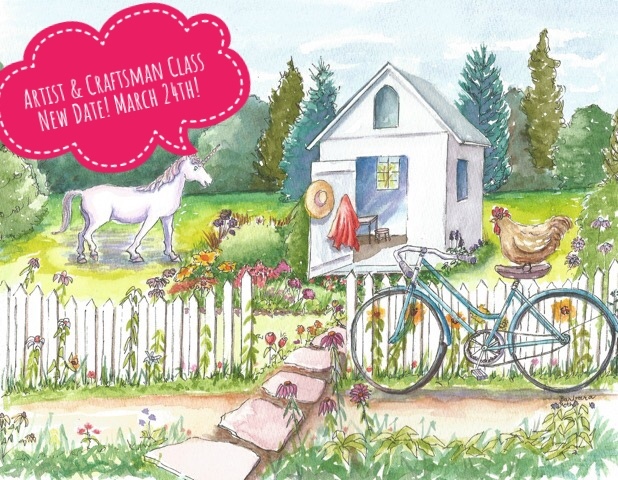 Just in case you’ve planned your social calendar around my art classes, you may want to mark March 24th on your calendar as the new date of my class at Artist & Craftsman Supply. The class will be about all the fun da mental skills and supplies you need to watercolor sketch anywhere, from your backyard to Bombay. If you’ve taken a class with me before on this topic, you will learn new stratagies, new ways to paint + get lots of ideas on how to be an organized and more productive artist. You’ll also leave class with a fully assembled grab & go art tote or cigar box.